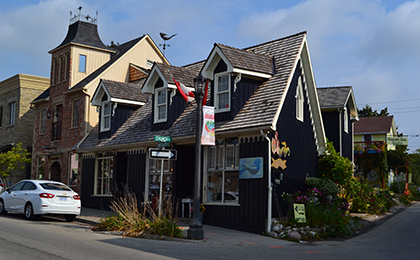 Take your time and take a wander through one of the most photographed streetscapes in the village of Elora. Mermaid Antiques features a varied selection of antiques, imports and new discoveries spread out in four distinct rooms. From new and vintage jewellery, to china, books and Persian rugs, with an amazing collection of fun novelty and décor items like door knockers, weathervanes and other reproduction hardware, the store is a charming spot for curious seekers of unique finds.